You can make a difference in the lives of our orphaned chimpanzees by becoming their Chimp Guardian! With your help, our orphaned chimpanzees will receive the care that they need to grow and thrive in an environment where they will be protected for the rest of their lives. Rescued chimps often arrive sick and injured. Under the skillful care of Jane Goodall Institute staff, these chimpanzees receive a second chance at life. Today, all four subspecies of chimpanzee are endangered. She is very calm and gentle. He overflows with energy and plays all day with his friends. He is very active and curious. 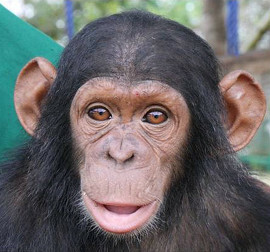 Keep your chosen chimpanzee in the care of experienced and loving keepers. 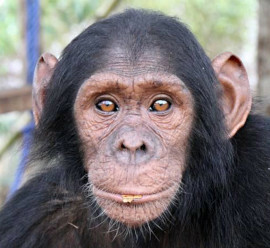 Provide your chimpanzee with the food, medicine and enrichment they need to grow. Support research on reintroducing rescued orphans back into wild environments. 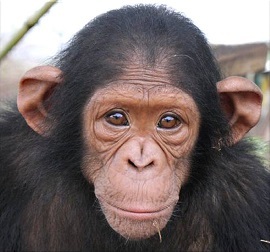 Protect important wild chimpanzee populations by working with local people and governments and addressing root causes of the bush meat trade to protect key areas of forests where wild chimpanzees live. Kouilou, the new site of the sanctuary. We have to continue to provide food, shelter and vet care for all the released chimps.